Ah yay. My one sin. There's only so much I can write about Fate/ in general for Crunchyroll without becoming too hard a Stan for it. But over here in my own little corner of the web, I can let loose. 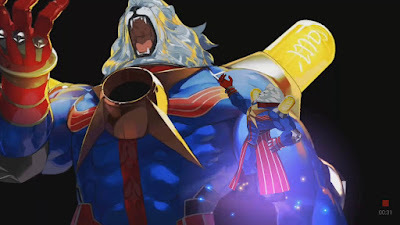 So the concept of the Fate/ franchise, if you've somehow missed me talking about it, is this: an association of mages has learned how to, via ways and means that would take a lot more back story than you need to appreciate this, summon the spirits of great heroes from history, fiction, and mythology. They are each assigned to a certain class -- Saber, Archer, Rider, etc. -- with their masters fighting for possession of a Holy Grail that has appeared in that era. The Grail will grant one wish. And that's how it works, except when it totally doesn't, like in Fate/Grand Order when the point is to travel through time with a whole clown car full of gacha servants and fix temporal anomalies. The short version is you get to collect anime versions of famous people and they'll fight for you -- and like seventeen of them are female versions of King Arthur. So basically, it's a game made for me. 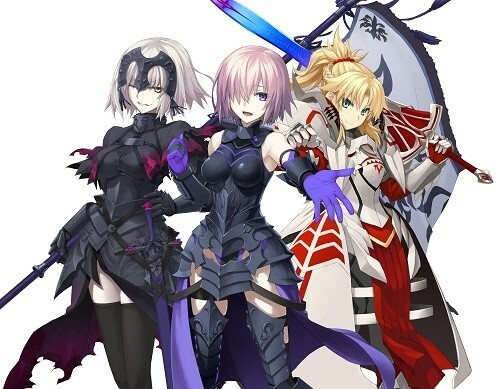 From left to right: an evil version of Joan of Arc, Mash Kyrielight who's a cross between your devoted kouhai and an unnamed Servant, and Mordred who is a girl because lots of guys were secretly girls. The US localization is about two years behind the Japanese server (which has just launched into its second story arc), and save for the occasional typo on a limited-time event, it's pretty dang good. The battle is straightforward -- easy to learn so that you can then spend time strategizing -- and from there it's a cross between a visual novel and a character collecting/raising game. So Fifth Singularity. E Pluribus Unum. It takes place in a young United States, where the Civil War is happening 80 years too early, and between the East and West rather than the North and South. The reason for the upheaval? Celtic heroes have invaded and decided they'd like the country for themselves. Unlike previous Singularities, the Servants you meet are almost entirely unconnected to the time period, coming from well before (the Celtic heroes) and well after (pretty much everyone else) the events of the chapter. 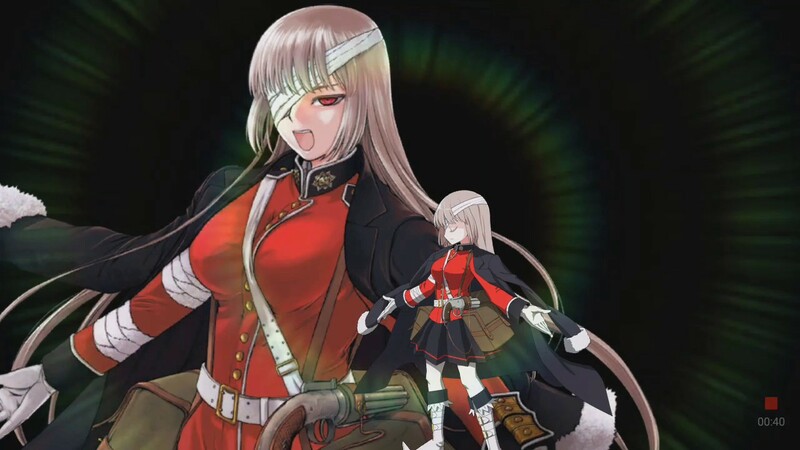 Nightingale was soft-launched in the recent event Vengeful Demon's Wail at the Prison Tower, which introduced Edmond Dantès (the Count of Monte Cristo) and the new Servant class "Avenger." Here, she suffered from amnesia and was renamed Mercèdés by Dantès. In the Fifth Singularity, she's well aware of who she is. Born almost 40 years after the events of the chapter, she's obsessed with an unachievable level of cleanliness for the wounded. She also likes to shoot basically everything. Her Noble Phantasm is one of the few healing-based moves (with the exception of Medea Lily's "Pain Breaker") that's actually done significant enough good that I actively build up her NP bar. Sadly, she's a Guest Servant and probably very hard to actually roll for myself. For the dweebs, she was designed by the creator of Jormugand and is voiced by Miyuki Sawashiro (the new Fujiko in Lupin III). So once in a while, Fate/GO introduces me to an historical figure I wasn't familiar with. Madame Blavatsky is definitely one of these. She was the founder of the Theosophical Society, the great-great-grandfather of what we now know as the New Age Movement. Her teachings included talk of the continents of Atlantis and Lemuria, and the existence of a highly-evolved being named Sanat Kumara who was king of humanity and appeared as a teenage boy. Incidentally, "Sanat Kumara" is the name of her Noble Phantasm, and shows her boarding a UFO and flying through space before zapping her opponents. So there's that. 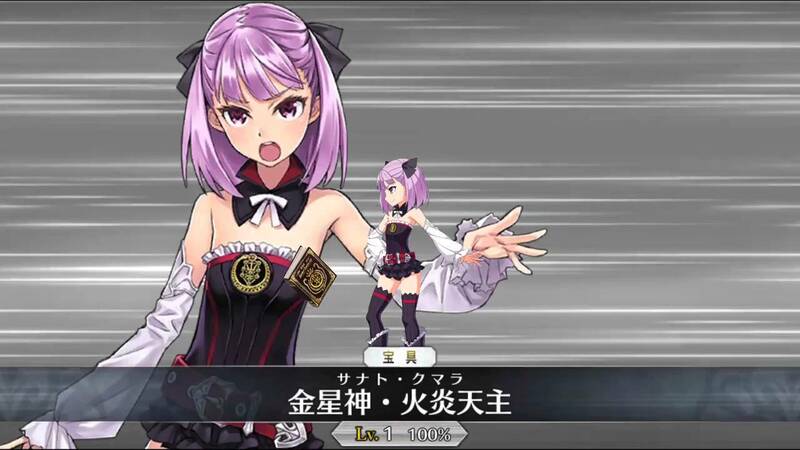 Story-wise, Blavatsky is pretty much the token tsundere of this Singularity. 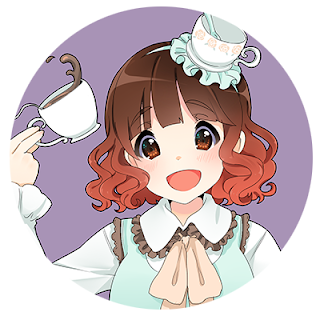 She's voiced by Hisako Kanemoto (the new Sailor Mercury in Sailor Moon Crystal), which is cool, but beyond that her main appeal is in all the backwards references to her historical namesake. Like the little robot dude over her shoulder? Is a tiny Henry Steel Olcott. Poor guy is pretty obviously the designated driver of this Singularity. And he definitely did not ask for this. 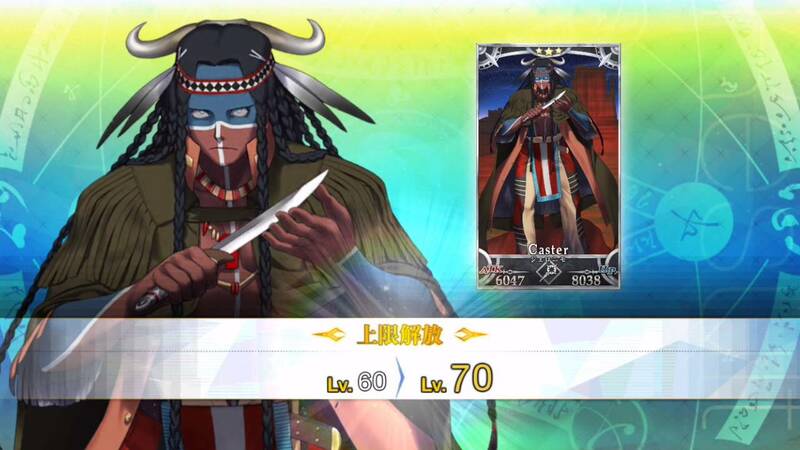 I actually rolled Geronimo pretty quickly, so I don't have to wait to use him as a Guest Servant. I'm leveling him up now to see what he brings to the table. He's voiced by Goldymarg from GaoGaiGar (but he's not nearly as shouty, so it was hard to tell at first), and comes from the same character designer as Martha and Ushiwakamaru. So far he has been the most intelligent and caused the least trouble of anyone in this chapter and bless him for that, because between the guns and the more guns and the everythings, I could use someone who doesn't explode absolutely everything I'm trying to do. Yeah. So. If you're. Uh. Yeah. Thomas Edison is an American light bulb lion. That's not a joke or an April Fool or anything. That's him, straight up. At first I thought he was an NPC, but nope, apparently you can summon this bad boy. Which... should be interesting. Especially since at his higher ascensions he grows literal rainbow wings. There are others Servants poking around -- Billy the Kid being just one of them -- but I've not seen enough of them just yet to pass a lot of judgment. 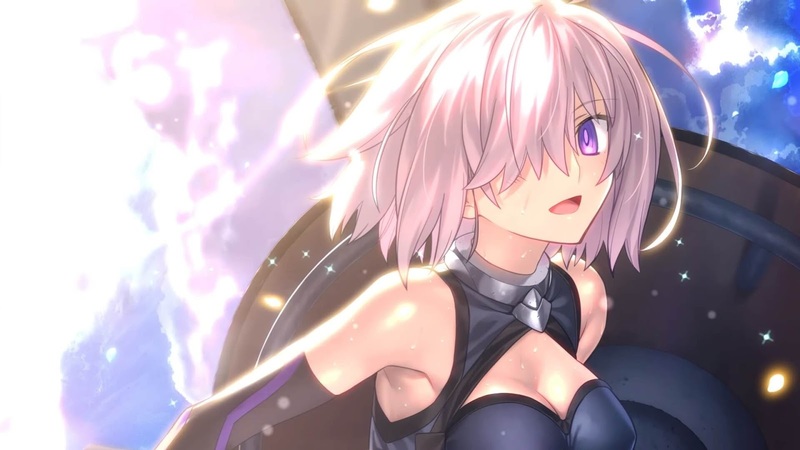 In my experience, Mash Kyrielight -- your one constant companion, a Shielder-type who is equal parts human and Servant -- takes time to grow on you. There's nothing particularly annoying about her. She's a fun enough character, and in the one-shot anime made to promote the game, she's pretty cool. My hangup, I think, was that her growth as a character is directly tied to your story progress. That is, you can only level her up or bond with her as far as each chapter says you can. With other characters, you can put in the effort and max them out however you choose. But with Mash, her strength is a story point. Now, I can actually appreciate this as a writer, and stepping away from my actual game time on it, I like that the feel of your party actually changes as the story progresses. You don't have to include her. You don't have to use her at all. But what she lacks in attack, she makes up for in defense, so it pays to have her on your team at least at the start. By the time we hit the Fifth Singularity, we actually start to see a shift in Mash's personality. She's working harder -- and this shows in actual battles, as her fight style and dialogue have changed and (at least for me) she's become overall more useful from a tactical standpoint. We also seem to be nearing a few answers for her: what's her deal, who's the Servant she contracted with to become a Demi-Servant, and what is the true extent of her powers. 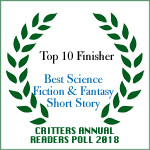 The game in the West is approaching the end of the first story arc, which will close out our battle to fix history. And from the brief clips I've seen in doing my various news articles, it seems Mash undergoes a lot of changes of her own between now and Cosmos in the Lostbelt, the second arc of the game just about to kick off in Japan. I'm actually quite impressed at how these aesthetically different segments are beginning to converge down into the Big Picture. And I'm big time curious to see where it's all going.